If you need some assistance with your guitar, feel free to use our contact page and we’ll get back to you in the same day. Hurricane electronics is a guitar and amplifier servicing company owned and operated by Al Hurricane Spears who is the sole proprietor. I started repairing guitars and amplifiers after a local tech kept my amp for 2 weeks for a simple bias. I was the only amp I had at the time and like most musicians I became pretty impatient about getting my amp back to play it and have been servicing amps and guitars shortly there-after. 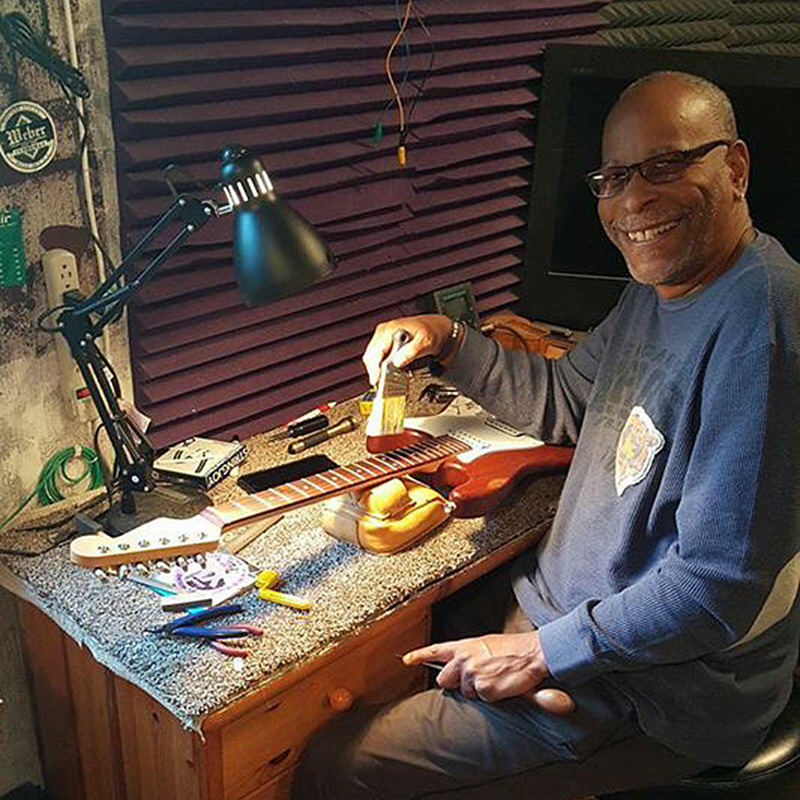 I have been servicing guitars, basses, amplifiers and other small electronics for the last 19 years. My focus is on doing it right the first time and generally provides same day service by appointment. I also provide pickup and delivery locally for a small fee. I have serviced instruments for some of Chicago’s finest musicians such as: Mike Wheeler, Toronzo Cannon, Carlos Johnson, Linsey Alexander, Mondo Cortez, Brian Thomas, Larry Williams, Vino Louden, Howard Shaw, James Williams, Rico McFarland, Voja Ciric, Andy Miles, Ric “ jazz “ Hall, Luke Pytel, Gee Fulltone, and Joanna Connors.